The TRANSITIONS® Angled Entry Plate is a portable stand-alone threshold plate with a slip-resistant surface which offers superior traction in varying conditions. The TRANSITIONS® Angled Entry Plate is a portable stand-alone threshold plate with a slip-resistant surface which offers superior traction in varying conditions. 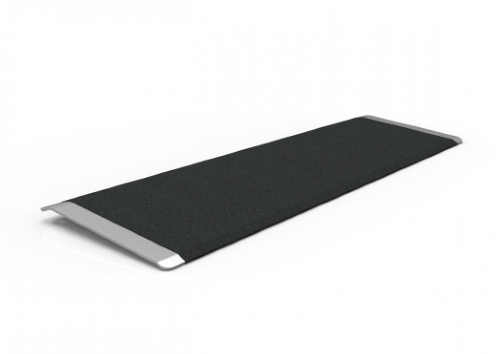 This single-piece, formed aluminum plate helps to eliminate trip hazards and accommodates most mobility devices. 8 in. 10 in. 12 in. Usable Height: up to 1 5/16 up to 1 5/8 up to 2 in.